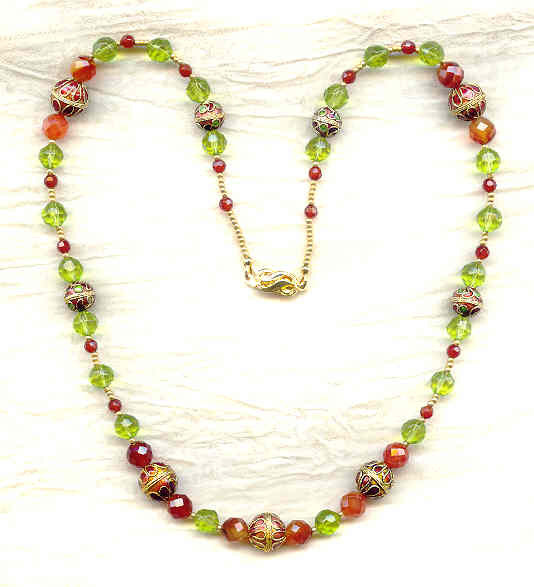 The peridot green faceted glass beads in this hand beaded necklace play a coquettish game of hide-and-seek with any bit of light that strikes them. 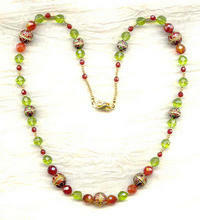 They contrast beautifully with the rich carnelian gemstone beads. 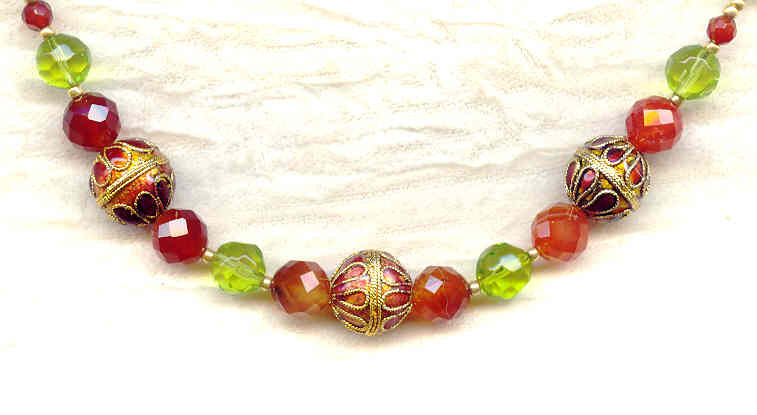 The cloisonne beads have elements of both about them: a little bit of glitter, and a little bit of glow; a little bit country, a little bit rock and roll. I've spaced the larger beads with gold plated glass seed beads, and closed the 22-1/2" strand with a gold plated love-knot adorned fish hook clasp. On days when flights of fancy take you, this is the perfect necklace for you to wear.